The axolotl (pronounced “ax-oh-lot-ul”) is truly one of the strangest, most unique animals in the world. With their tiny black eyes, wry little grins, and fancy headdresses, they certainly look different than most animals. What we can’t see from the outside, though, are some of the amazing powers that they have and some of the challenges that they face. Many amphibians are able to regenerate, but none of them can even hold a candle to the regenerative abilities of the axolotl. They can regenerate nearly any part of their body perfectly, including their spinal cord, jaws, and limbs. When a limb is regenerated on an axolotl, it leaves behind no scarring or any sign that the limb was regenerated. When attacked by predators, axolotls can just release one of their appendages in order to escape. The appendage will grow back very quickly. 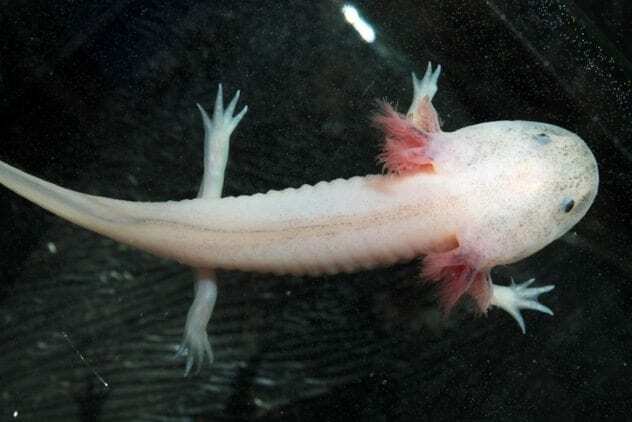 Axolotls can regenerate the same limb hundreds of times, and each time, the new limb is absolutely flawless. While captive axolotls are commonly found in aquariums and laboratories all over the world, wild axolotls are much more difficult to find. This is because the only place that they live is Lake Xochimilco (“so-chee-mil-ko”) in Mexico. Unfortunately, the lake is extremely neglected. The water is loaded with trash and filled to the brim with invasive fish, such as carp and tilapia that thrive in the dirty waters. In Lake Xochimilco, axolotls eat mollusks, crustaceans, and anything else that they can fit inside their mouths. There are many factors that contribute to the axolotl being endangered. 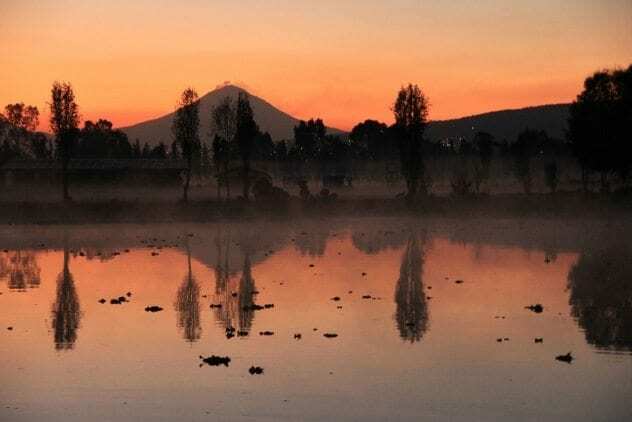 Besides the fact that Lake Xochimilco is very neglected and polluted, the invasive carp and tilapia compete with axolotls for food, and they usually win, since the axolotls are so far outnumbered. Also, Lake Xochimilco is home to large, beautiful floating gardens. This has made the lake a large tourist site that has even been described as Mexico’s version of Venice. However, the tourists have also caused many problems for axolotls. On the weekends, there can be several thousand rowdy tourists there, drinking soft drinks and fast food and throwing their wrappers and cans in the water. All of this has seriously harmed the wild axolotl population. In fact, a recent study found no axolotls living in the wild, meaning that they may only be living in aquariums and labs. Axolotls used to be eaten regularly by natives of Xochimilco, who considered axolotl tamales a delicacy. They were eaten whole and served with a side of cornmeal. 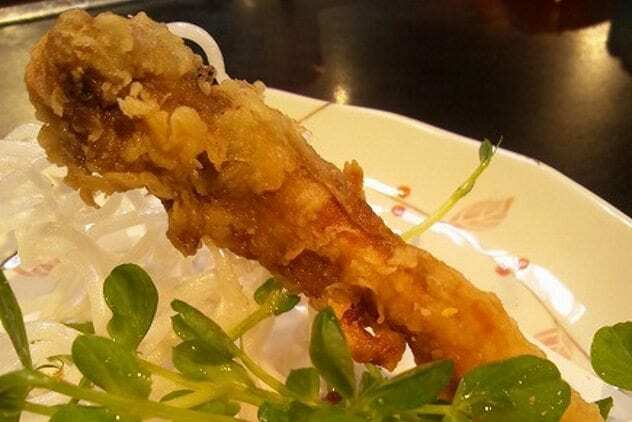 Now that axolotls are endangered, the citizens of Xochimilco have had to stop eating them, but a restaurant in Osaka, Japan, still serves whole, fried axolotls to this day. Most people brave enough to try this strange food say that it tastes like white fish meat—but crunchier. This very unusual feature of axolotls is known as neoteny, and it basically means that they never develop into adults. Instead, they just keep their youthful appearances and characteristics. They are still mature enough to reproduce, but they reach that level of maturity while in their undeveloped larval stage. For comparison, this would be like if a tadpole stayed a tadpole its entire life and never became a frog. Neoteny also explains why the axolotls keep their gills (the funny-looking branches that stick out of their head) and live out their entire lives underwater. They can’t go onto land like most other salamanders. As we know, axolotls can regenerate very well. 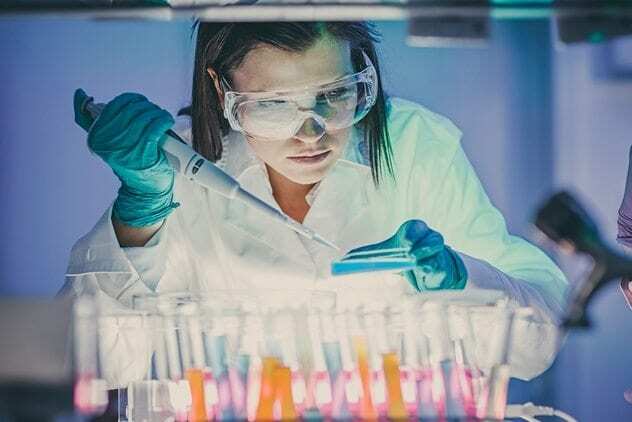 Scientists are looking to see if they can harness that ability in humans, so we can regenerate limbs like the axolotls can. 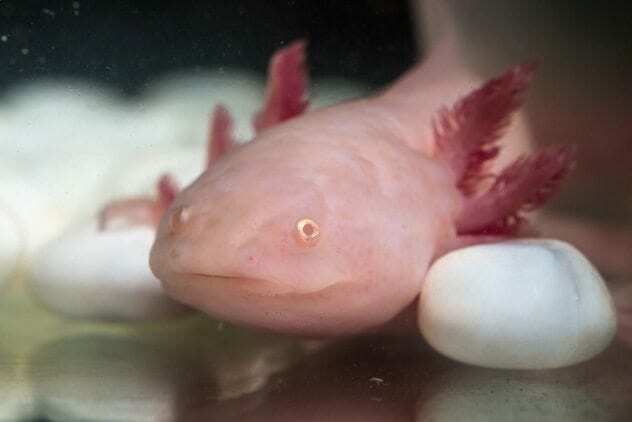 Many labs across the world are researching axolotls to see what makes them able to regenerate so perfectly. They are actually the most scientifically studied salamanders in the world. Axolotls are also over 1,000 times more resistant to cancer than mammals! 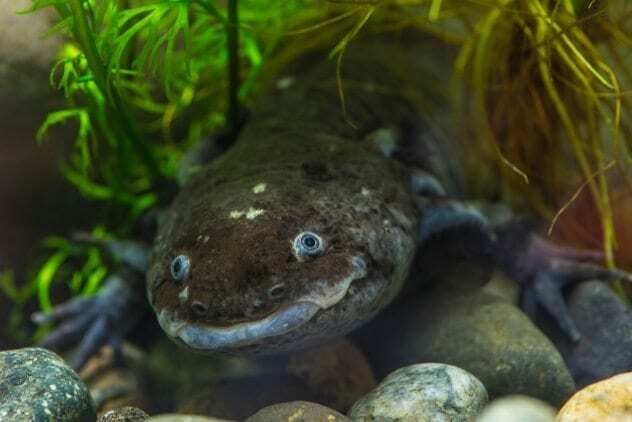 Axolotls were very interesting to the ancient Aztecs because of their unique look and regenerative powers. They believed that the axolotl was a manifestation of the god Xolotl, who was the gondolier for the dead in the underworld. 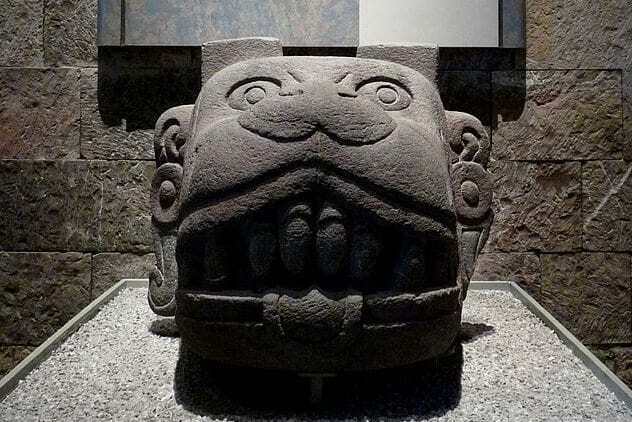 Xolotl had the head of a dog and was apparently afraid of being either banished or killed, so he hid from everybody by transforming into an axolotl. Of course, this is where the axolotls got their name from. Even though they are critically endangered, many companies breed axolotls and sell them as pets to the public. However, axolotls need to be treated with very precise care. Owners of axolotls usually keep them in somewhat large aquariums (since they produce a lot of waste) and feed them large worms and frozen bloodworm cubes. Since axolotl skeletons are partially cartilaginous, they are very fragile and shouldn’t be touched. They also shouldn’t be put in bright light, since that makes them shy. 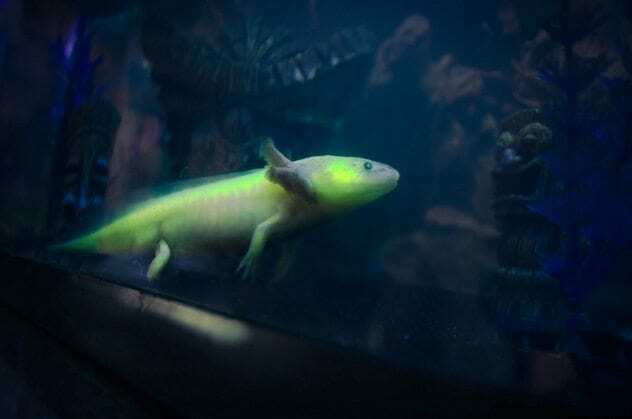 Many companies have also figured out how to make axolotls glow in the dark. Anybody can easily purchase an axolotl online. They usually cost around $20 to $25. Though most axolotls that we are used to seeing have a pinkish-white color, wild axolotls are actually more black or greenish-brown. The white axolotls are known as “leucistic,” and they are never found in the wild. All leucistic axolotls are actually descended from a single mutant male axolotl that was brought to Paris in 1963. After that, scientists began to breed axolotls specifically to be leucistic. Since axolotls are so well-liked, many groups are attempting to save them from becoming extinct. Besides the many fundraisers and charities supporting endangered animals, there have been a few larger projects. One of these was the Darwin Project, led by the Durrell Institute of Conservation and Ecology. 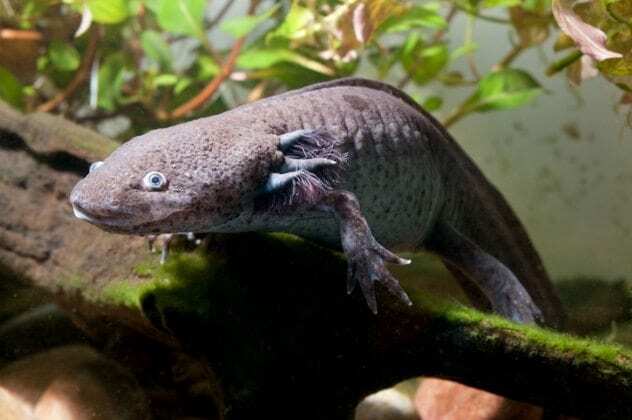 Their goal was to try to help clean up Lake Xochimilco and make it a more habitable location for axolotls. However, there is a much larger proposed solution to help axolotls: forming an ex situ population. This basically means forming a breeding colony of axolotls away from their natural habitat, which would be sheltered from the flaws and problems of their life in the wild. This captive-bred population would live in a location similar to Lake Xochimilco, just without the problems. 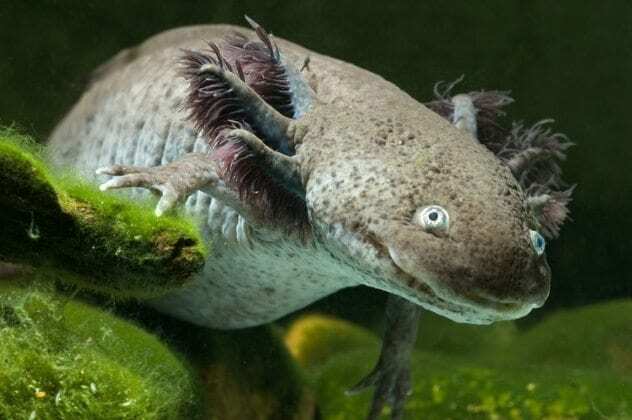 While this is going on, the goal is to fix all of the problems with Lake Xochimilco so that the captive-bred axolotls can be reintroduced into the lake. So there is still hope for these unique little salamanders! J.J Grover enjoys binging on list websites.